Many of our clients rely on our remote printing on demand services. Our online portal makes it possible for you to place new orders or repeat a recurring order from wherever you are. For many companies, Andi handles the full range of printing needs for all their branch locations throughout the EMEA region. We print, package and order by post, so distance is no longer an issue. 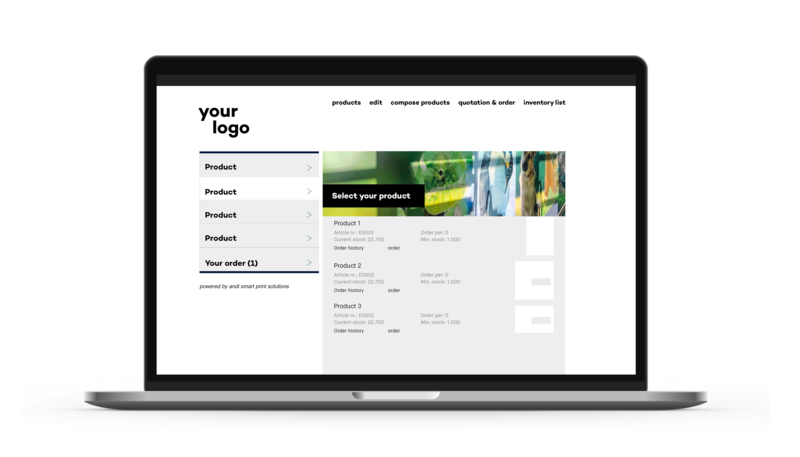 Our online portal offers direct links to our clients’ internal procurement systems, making it incredibly easy to place orders. When clients generate a project order in their system, it is sent directly to the management information system at Andi. We can link to various client systems. For instance, we support efficient inventory management through SAP Supply Network Collaboration (SAP SNC). This supply chain collaboration software syncs and automates information flows so suppliers, manufacturers and customers can connect and collaboration more effectively. SAP SNC enables us to help you align supply and demand and optimize your inventory management.